4 What Does The Experts Say? 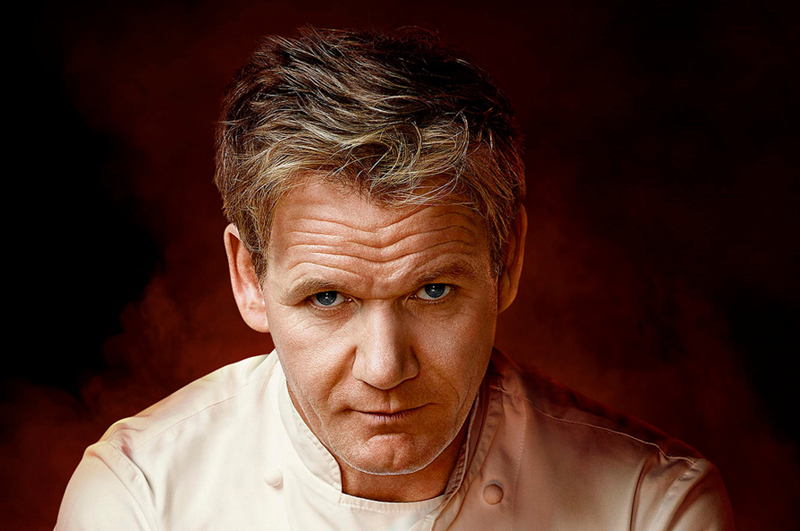 Gordon Ramsay the famous, foul-mouthed celebrity chef is no stranger to cosmetic procedures and as discovered by everyone, also bothered by his thinning hair. During December 2010 pictures of the hot-tempered chef was published leaving one of Los Angeles’s leading hair treatment clinics. Wearing a surgical cap confirmed that the then 44-year-old Gordon Ramsey hair transplant has indeed been done. At the time, it was not quite sure why he had a hair transplant done, as his hair was not obviously receding. Dr Antonio Armani, the renowned hair transplant surgeon, did the first Gordon Ramsay hair transplant. It was done in the Alvi Armani Clinic in Beverly Hills, only one of the global clinics owned by the surgeon. The Italian hair transplant surgeon apparently considers himself more of an artist than technician, treating his patients such as Ramsay like best friend, instead of patients. The procedure is a specialist procedure called follicular unit extraction during which the surgeon uses a 1mm diameter punch in extracting a healthy hair follicle from a scalp. No damage is done to the follicle as it is directly implanted elsewhere on the head where hair is receding. This procedure allows up to six thousand grafts in a single day. The hair follicles at the back of a man’s head are not as sensitive to the male hormone that causes men to lose hair and once relocated they will continue to behave as they did at the back of the head. In the case of Gordon Ramsey who is afflicted with male pattern, baldness it is a genetic condition passed on either by the father or mother. This type of condition can afflict only one of the male siblings in a family of more than one son. According to consultant dermatologist Dr David Fenton, a successful procedure depend on two things, finding the best possible surgeon for an undetectable result and a good amount of hair at the back of your head. During the early 2011 after Ramsay was seen leaving the Alvi Armani clinic and photographed by paparazzi, he denied having anything done to his hair. It is a common fact that after a follicular unit extraction, patients may suffer from swollen and puffy eye areas and faces. Gordon on the other hand explained the surgical cap and puffy face away with a supposedly allergic reaction he contracted during filming. According to him he had, a bad experience with gasoline pored over his hair two weeks later and in combination with the allergic reaction and gasoline had a hair nightmare, which caused him wearing a surgical hair cap. The bizarre hairstyle Ramsey sported when he was seen leaving the fortieth birthday party of Victoria Beckham is sparking new Gordon Ramsay hair transplant rumors. If anyone ever wondered what a head would look like with a cut using a pudding bowl as measurement, this would be the perfect example. His hair on top appears as if some chunks are missing, while the back and sides are shaved up. The back of his head are not simply short shaved, but tightly in one size, very close to the scalp and appears to be covered with some sort of dye. Clear red pinpricks are visible in the nape of his neck. Gordon Ramsay hair transplant is almost one hundred present certain is the medical opinion of professionals. Known surgeon, Dr Asim Shahmalak explained his conclusion that the red pin pricks is the first reason why he reached this conclusion. In addition, he explained that during follicular unit extraction the head is shaved in the area where the work is to be done. Both the back and the areas where the transplant happens are shaved; the follicles are harvested from the shaved back and planted in front. This may explain why Ramsay’s head with the long locks in front does appear to be missing some chunkiness. This is an indication that certain areas are shaved for the transplanted hair follicles from the back. Dr Shahmalak explained that each follicle contains about three hairs and although it is not certain where Ramsay had, his hairs replanted, it can be in his crown area as well as receding hairline. This may very well be the reason why he wears his hair in such a bizarre style and long fringe combed forward instead of its spikey unruliness, simply to hide the latest Gordon Ramsay hair transplant.